How is everyone doing? I don’t want to freak anyone out but this is the last week of January, which means Valentines day is just around the corner!!! Then Spring will be here, summer, then fall and before we know it 2016 will be done…. just like that. Whew, not to overwhelm you or anything. 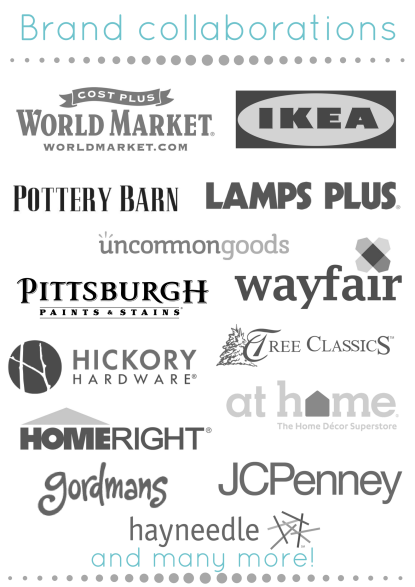 I have a tendency to get ahead of myself and somehow skipped the whole year and am wondering how I worried I do not have my 2016 Christmas shopping done yet. Let’s dial it back to the actual next big holiday, Valentines day. I love this holiday all about love. In our home we have incorporated an aspect in it with general love, not just romantic love. I am fortunate enough to have a date guaranteed for life because of my main man and Husband Dale. But, putting the pressure on our kids to always have “someone special” is just not going to cut it, they are loved and this is what that holiday is all about. I also enjoy this holiday because of the fun crafts that I get to create! 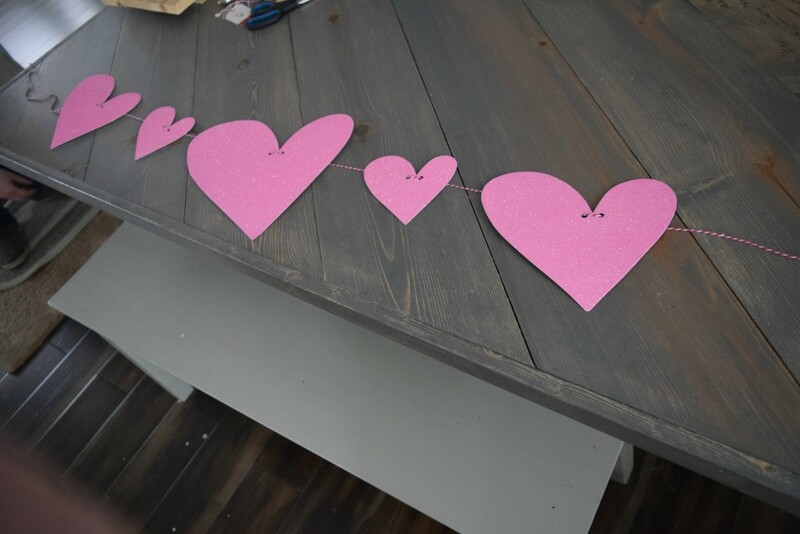 Today is all about decorating the home in low cost ways, I am talking very low cost… Dollar store Valentines blog hop, making a simple heart garland! This heart garland I made to sit on my mantel cost a whopping $2! I think we all know that I love my blogging friends, I like to keep them around me for support. 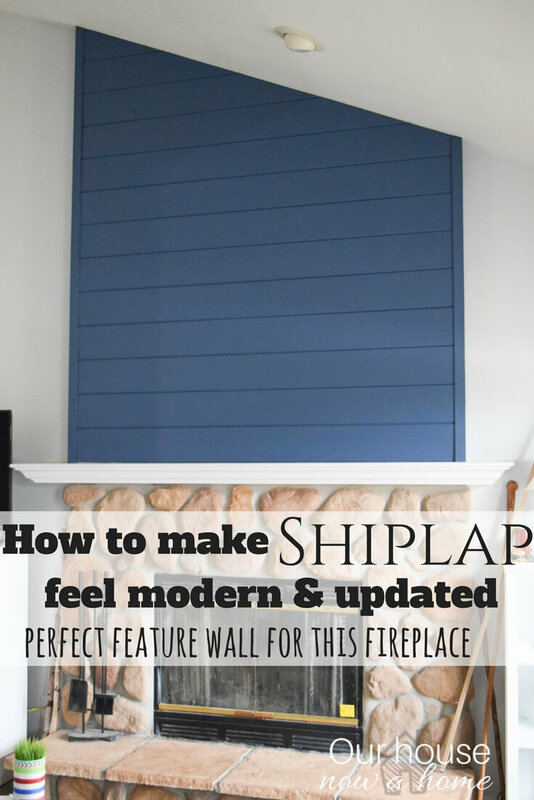 camaraderie, inspiration and home decorating challenges. 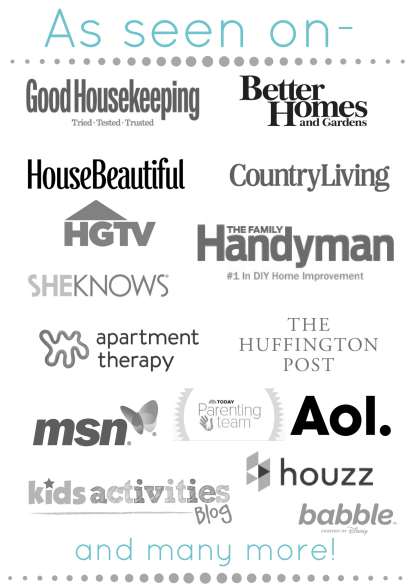 This one is extra special because it is the first time I have worked with some of these bloggers. You and I both get to discover some new blogs! 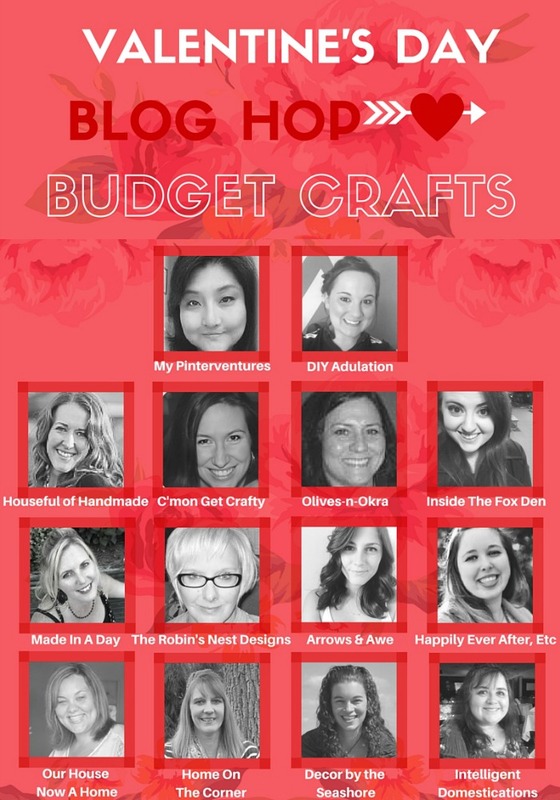 You also get a ton of dollar store crafting inspiration! What each of these lovely ladies created and the links to their projects will be at the bottom of this post. 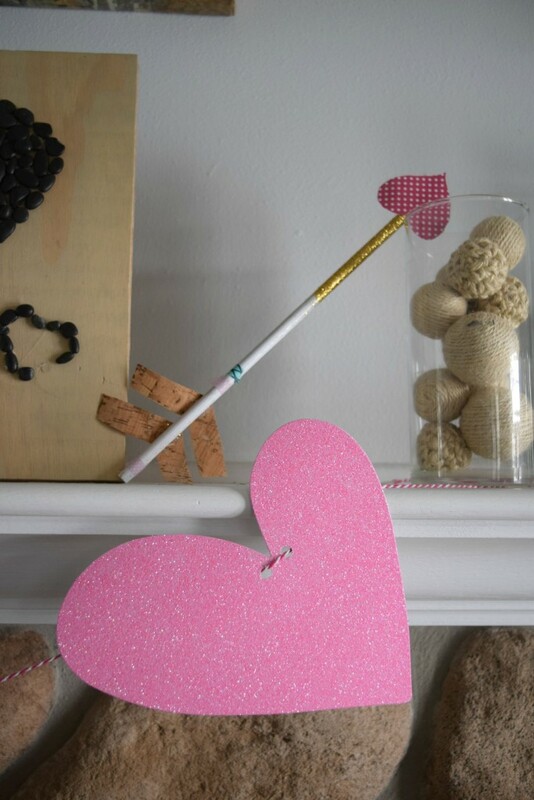 You will have a chance to let your own projects shine if you have a blog and have created a valentines day craft. All of that is at the bottom of this post, so much going on! If you are one of the lovelies visiting me from the other blogs, I am so happy to have you here. I will admit this craft is super simple, which can be a good or bad thing depending on how much you need to be impressed. 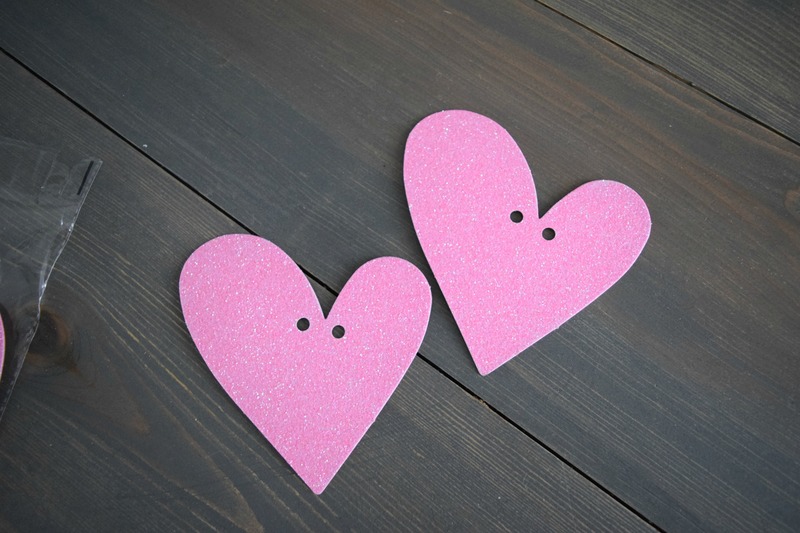 This is a quick, simple, cheap and painless project to add to your Valentines day celebration. I will leave the detailed and complicated projects for another day. This is not the best start for those of you not familiar with me, but the above supply picture includes some name tags that I did not use in this project. 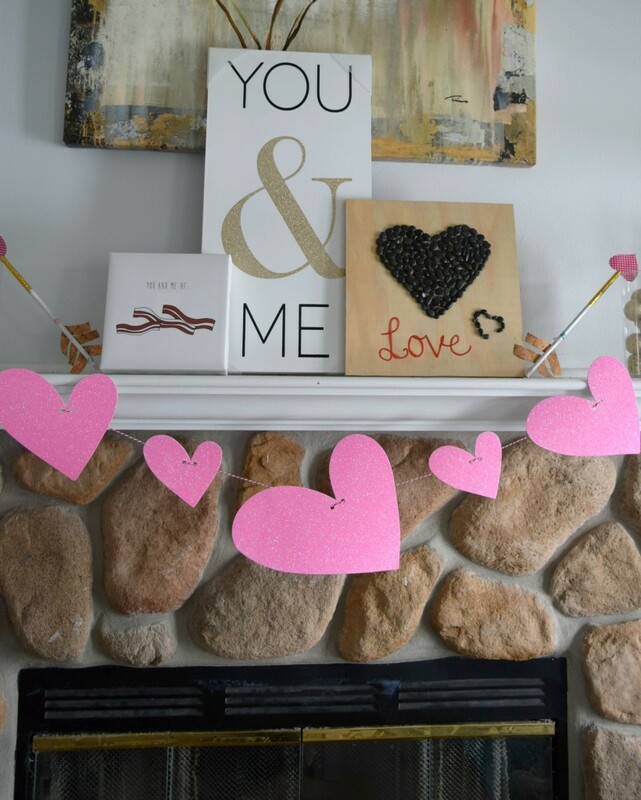 I am somewhat of a spur of the moment home decorator, I went to the dollar store with an idea of what I was going to create for this Dollar store Valentines blog hop but the specifics of it were not ironed out yet. I did end up using the name tags in another project all about love which I will be sharing early next week. There are those home decor and craft bloggers that dot every i and cross every t twice, I am not one of those. I like doing things right the first time, making something the best I can. It is the planning I get a little hazy on. It all turns out in the end, which is the important thing. 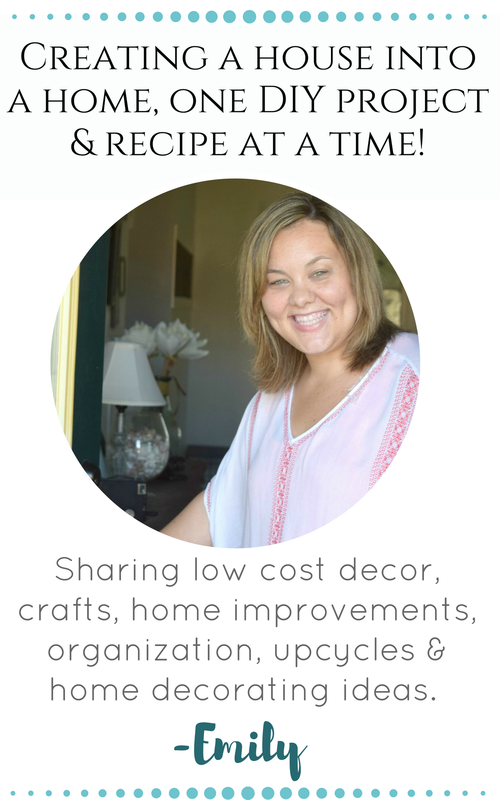 Decorating and crafting is a creative outlet and creativity has no time for rules or organization. Unless it is the actual supply closet or art table, your work space at least has to be neat. Let’s not get too crazy. 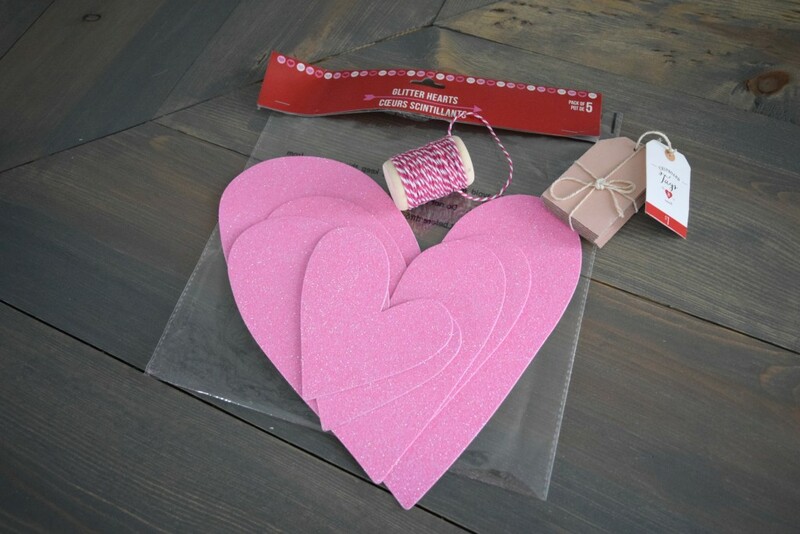 With the two supplies I ended up using, the hearts and the string; I will make the heart garland. This craft has two steps to it, that is it folks! Step 1 – puncture two holes with a hole puncher into the hearts. Try to get them in the center of the heart like I did above. Step 2- Loop the string through the hole from the back, bringing it over the front of the heart and looping it through the second hole to have the string end up in the back of the heart. This will secure the heart to not twist around. That is why the two holes were needed, to keep each individual heart into place. 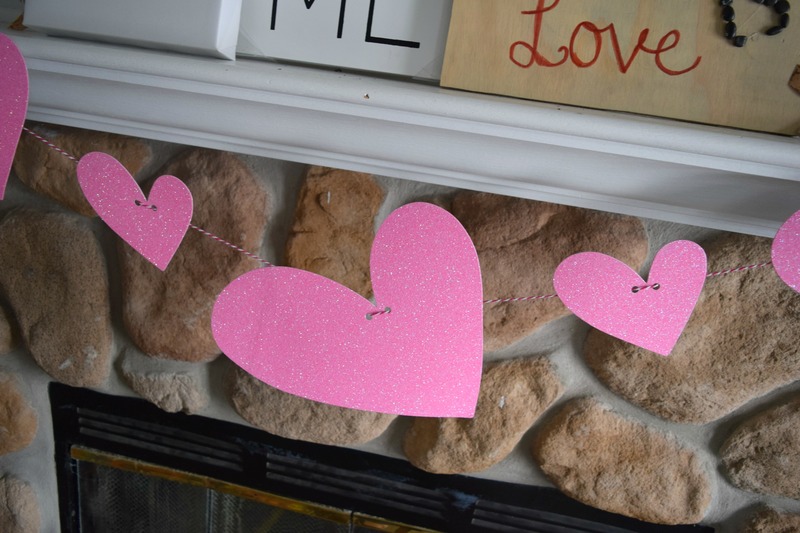 I strung this super simple heart garland on my fireplace and just used some well placed glass hurricanes as the weight to hold the string in place. 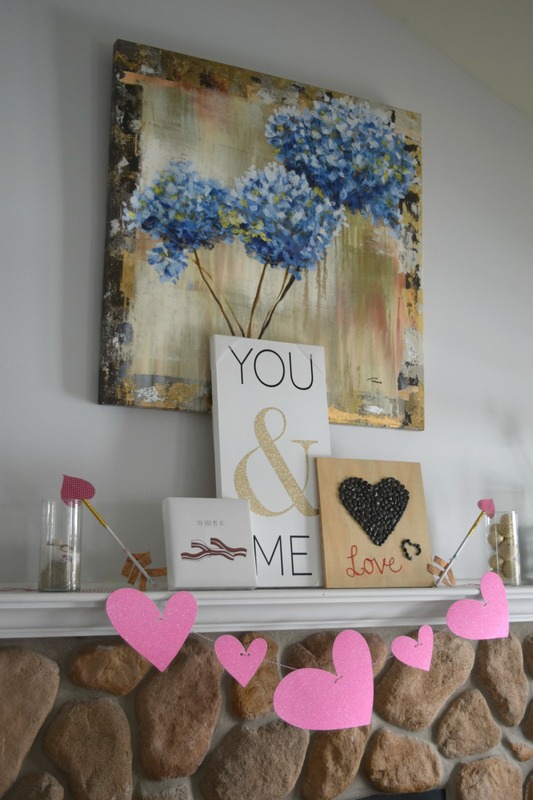 I set some various wall art I already had that have to do with love on the mantel. I created the Love sign, which can be found here. I felt that with the simple heart garland the fireplace mantel needed to have a little more of a visual going on. This is where the layering of the art works out wonderfully. Getting a gift for a loved one for Valentines day can be complicated, decorating your home for this day of love does not need to add to the complications. Some sparkly hearts strung on the fireplace is the perfect simplicity needed. Going big is not always what is needed. 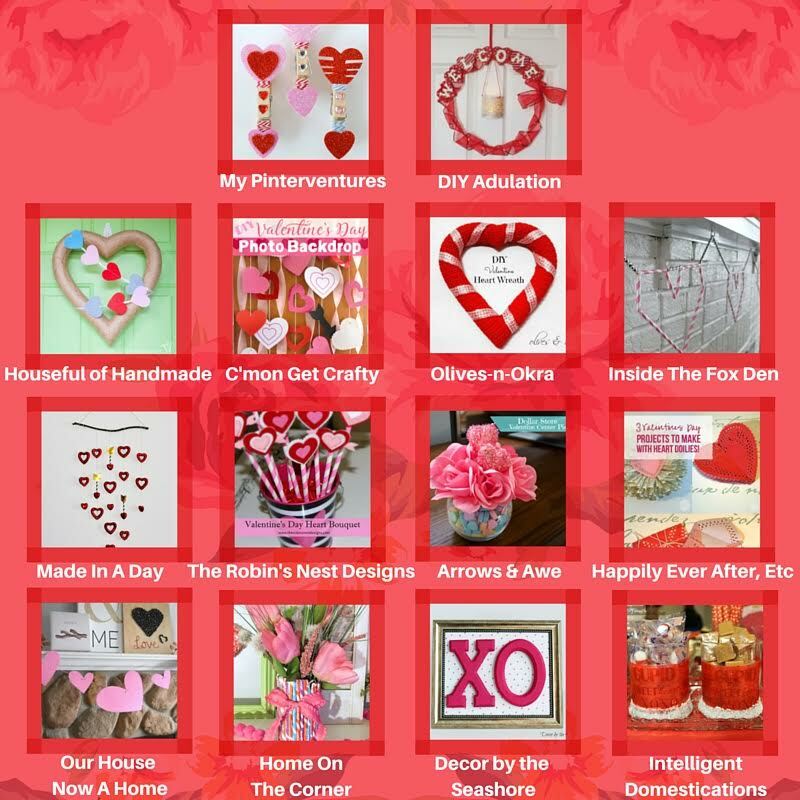 Or spending a lot of money, all of the projects featured in this Dollar store Valentines blog hop were purchased at the dollar section of a store. 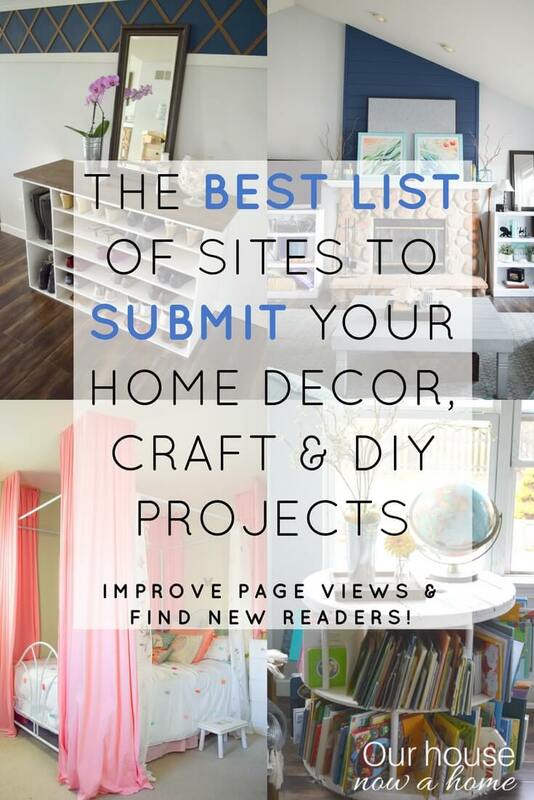 Which means these projects are in everyone’s budget! My kids are small still and me decorating in simple ways like this for each holiday does make them get into the spirit of the specific holiday. 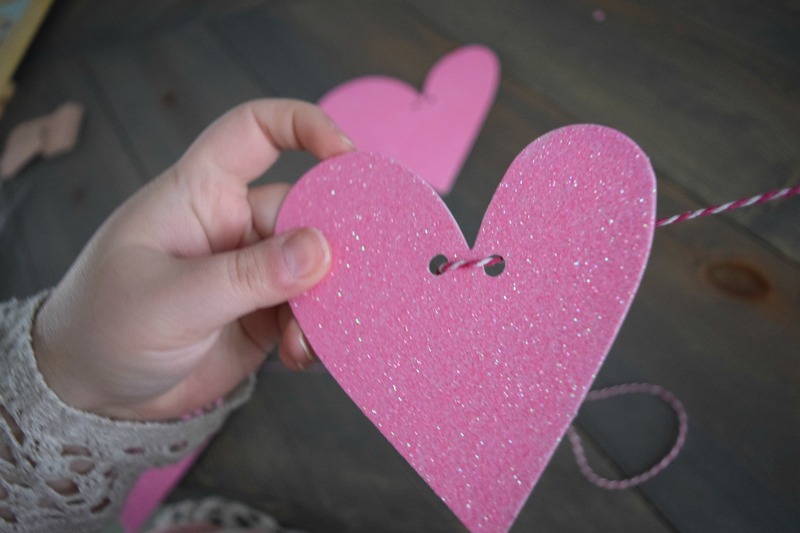 Kids are visual, and pink hearts is the perfect way to prepare them for the day of love. 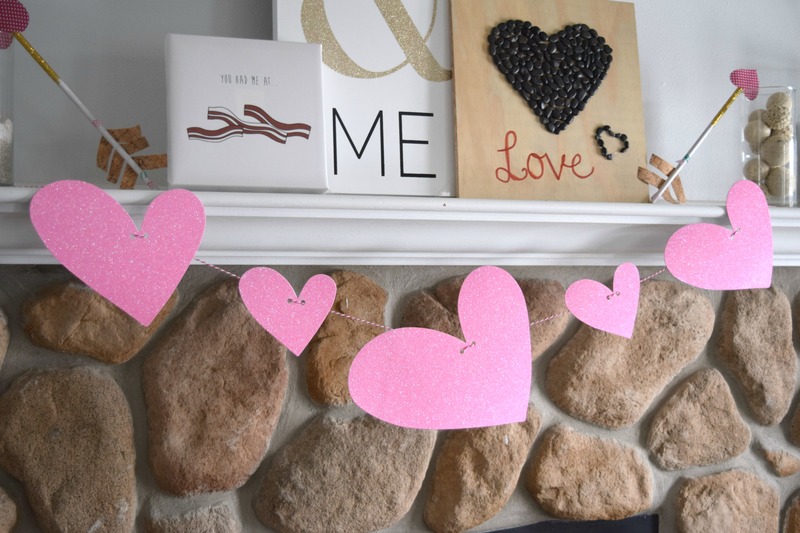 I loved this Dollar store Valentines blog hop, making a simple heart garland and I hope you did too! 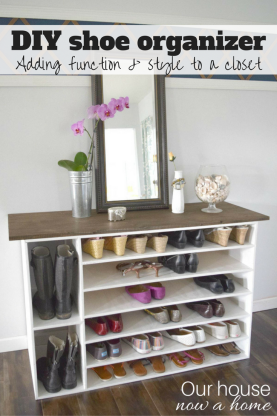 A two step craft is something I think anyone can be about, $2 and 2 steps! I am not a sports fan but is this what they mean when they reference a two-fer? 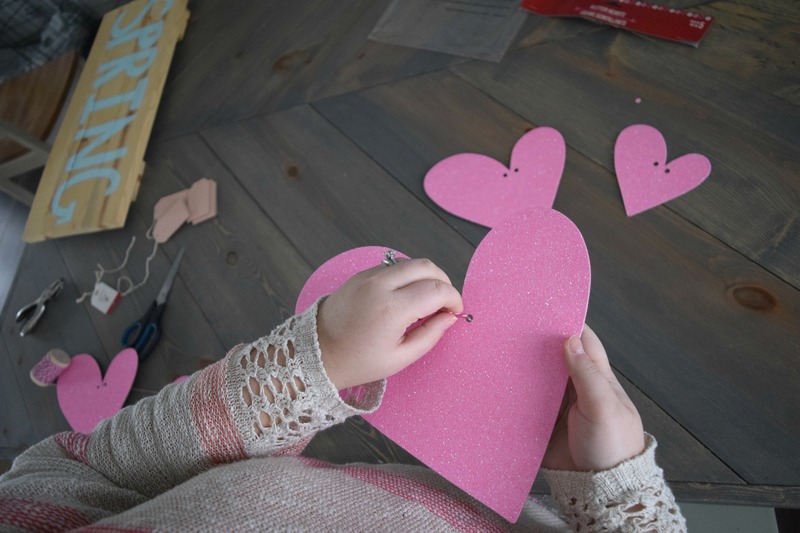 Valentines day crafts… right? 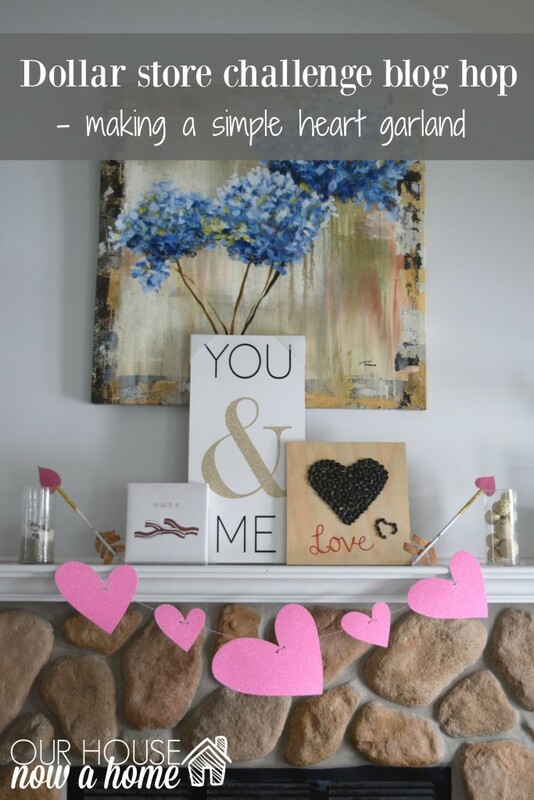 So, take some time to see what the other ladies came up with and link up any dollar store Valentines day crafts you have come up with. I am all about inspiration and crafting, give me more ideas! Super cute idea! I saw those giant hearts and it never crossed my mind to make a garland. Love how simple this is to make too! Thank you! I was worried it would be too simple, but I think it works. Such a cute garland! I love the kind of wonky shape of the hearts. 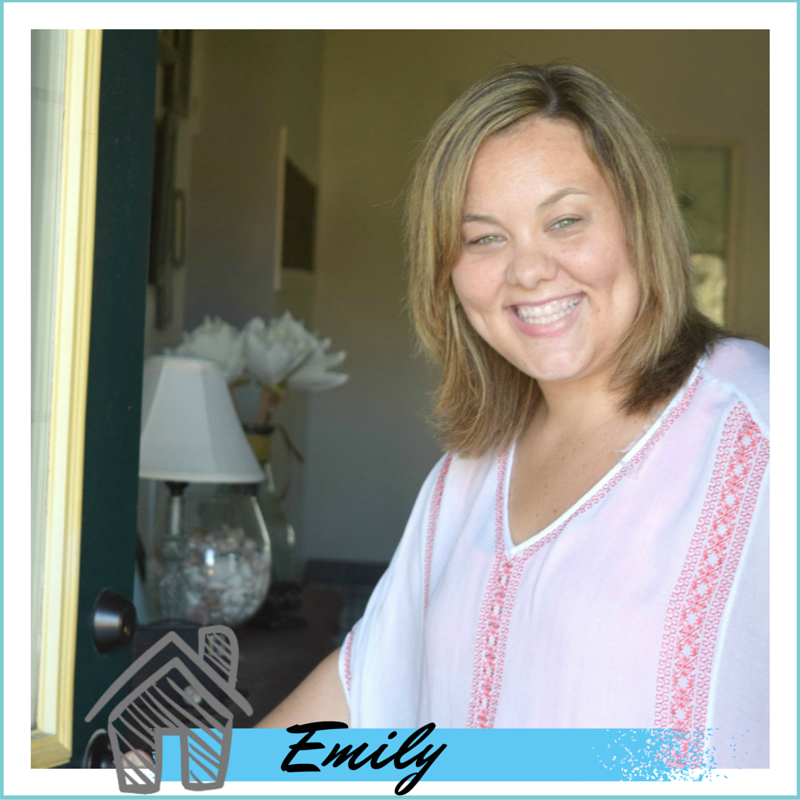 I am also participating in the blog hop and just stopped by to take a look at your amazing project. Great idea! Thanks! The wonky shape was something I thought was so cute and fun about it. Lol, I totally feel you on the craft planning. Many times I find myself adding supplies or not using them… of course after I’ve already taken the pictures! I love your heart garland! It’s so simple to make and looks beautiful on your mantel! I am so relived to hear I am not the only random crafter! Love your Valentine mantle. So simple but beautiful! Garland on the mantle is always festive for any holiday. It’s nice to be able to display it differently and not always exactly the same. I love the way you used the hurricane’s for your pretty heart banner! It’s a Really pretty sparkly heart banner. Thank you so much! I seem to always have some kind of banner on my mantel for holidays. The garland is awesome. I picked up a few packs of these hearts but did nothing with them. Great project. Thank you! These hearts caught my eye right away!